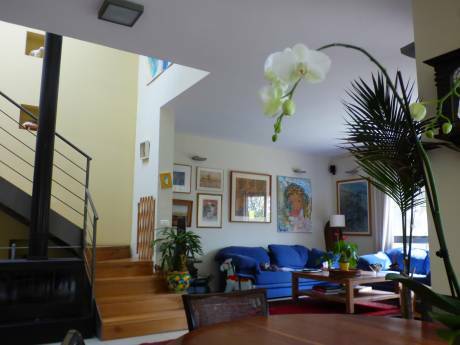 Our home is open, well lighted, friendly, seamlessly integrating the pleasant outside into the villa, clean-lines design, and most welcoming. It has a modest and handy kitchen having all tech-appliances, and an adjoining dining area and quick-meal area. A large living room, connected to a patio. The patio leads to the back garden. Four bedrooms (3 on first floor, 1 master bedroom on second floor). Each bedroom has a PC and high-speed internet, and WiFi all over the house and garden (total 5 PCs , PlayStation PS3, and 21" TV with Cable subscription of 50+ stations, 40" flat screen in parents room, DVD and Video players.). We have 1 bathroom at level floor with shower, bathtub, and toilet, and 1 toilet only small room. On the second floor, the parents master bedroom has another bathroom with shower and toilet, and also a small closet room, with exit to a terrace and roof. We enjoy our home very much and wish you would feel the same. We have 3 bicycles that may be used by adults (size 24 & 26). A car usage is optional. One of our cars can be loaned against swap of your car. We will help with local insurance. We can also arrange discounted 10-entry pass to local health club (about 135 USD total) - it has closed swimming pool, large jacuzzi, Gym, spinning, weights training, outdoor pool, playground, and all amenities included. The ride to / from the airport is a breeze - the train goes directly from the airport in Binyamina and stops only 7 minutes walk to our home. This train goes almost 24 hours a day. Our adjacent neighbors are all very friendly and will provide any assistance if requested. My wife and I are at mid 50's, I am a VP sales in a company that develops and sells products all over the world; my wife is a social worker and regional manager in the ministry of welfare; We have 3 children aged 13, 15, and 21. The oldest girl is volunteering as a education officer. The "sandwich" son has a talent for acting and mathematics. The youngest one is a dancer and has extremely vibrant social life. We are all friendly, open minded, trusting, generous, and curious. (sorry for not being modest, to serve the benefit of familiarity). 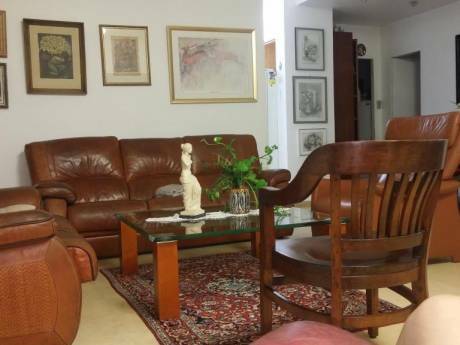 This home exchange is new to us, but we look forward to meeting new people and share our home. Binyanima is a countryside village, with its agricultural roots dating some 90 years ago. It is the heartland for 4 renowned Israeli vineyards (Carmel, Tishbi, Recannati, Binyamina), has great location for mountain bikes, and it is a heartbeat (7 minutes walk) away from the main train line between Tel-Aviv and Haifa, offering almost 24 hours accessibility to central attractions in Tel-Aviv in just 45-60 minutes train ride. This train line has a direct connection to Tel Aviv international Airport (no need for car, taxi or special bus). 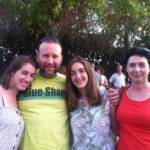 Binyamina is totaly safe and kids friendly. you would find kids riding bicycles most day, and enjoying life in this quiet rich landsacape location. A grocery, Bank & ATM, Pizza, Cafe, are all in few minutes walking distance. A Fashionable for shopping and pleasant stroll in a pedestrian street in Zichron-Yaakov (7 minutes drive). 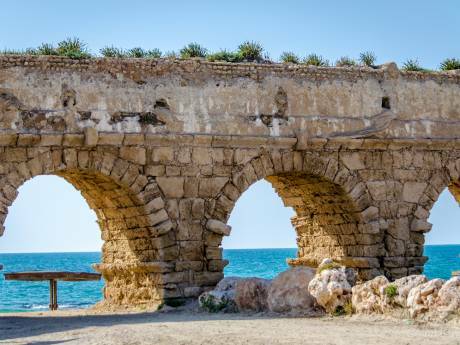 Antiques, fine dining, jewelry, diving, golfing, country club and a sense of the Roman Empire history is just 10-15 minutes drive to the famous 2000-years Caesarea old city. We would help you with the planning and recomendations so you would feel right at home and fully enjoy your stay! Tel Aviv, Haifa, Nazareth, Jerusalem are all up to 2 hours drive away. Several Mediterranean lovely beaches are 10-20 minutes drive for fishing, swimming, diving, relaxing, and some water sports. Our immediate neighbors are very friendly, welcoming and quiet, and share our desire for a quality life in a friendly atmosphere. Among them we are sure you can rely to on answering questions, and landing a hand if requested.